This cheesecake is a prime example of salted caramel at its finest. I actually found the recipe while looking for something else. Of course, once I found this I was immediately so smitten that whatever I was looking for was quickly forgotten. I’m not a big fan of candy-making, and that includes making caramel. It’s all too temperamental for me, and I’m much too temperamental for it. Luckily, I can usually talk Quinn into doing these kinds of things. So, he was responsible for that portion while I made the cheesecake. On its own, there is nothing exceptional about the cheesecake. The difference is the caramel. The salt portion is sprinkled on top, so you can use as little or as much as you like. 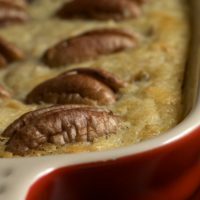 Keep in mind whether or not the pecans are salted when adding the sea salt. I used unsalted, so I added a little extra salt for our tastes. 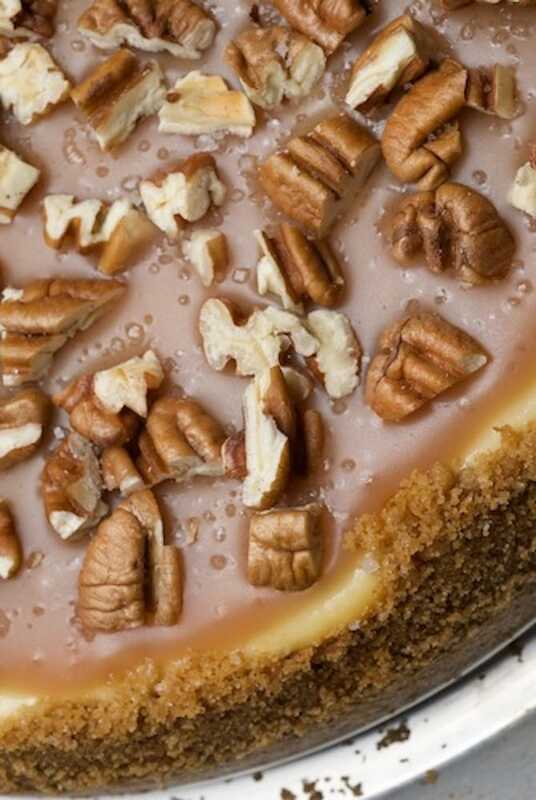 Up the cheesecake ante with rich caramel, toasty pecans, and a sprinkling of salt. Preheat the oven to 325°F. Butter the bottom and sides of a 9-inch springform pan. Mix the graham cracker crumbs, butter, and sugar in a medium bowl until thoroughly combined. Press into the bottom of prepared pan. Set aside. Mix the cream cheese and sugar with an electric mixer at medium speed until light, airy, and smooth. Add the eggs, one at a time, mixing completely after each addition. Add the vanilla extract and mix until blended. Pour the mixture into the prepared pan. Bake about 40 minutes or until a toothpick inserted into the cake comes out clean and the center of the cheesecake is just set. Turn off the oven, leave door slightly ajar, and let the cheesecake cool completely. Stir together the sugar and 1 tablespoon water in a small saucepan. Bring to a boil over medium-high heat. Let boil until amber in color, about 3 minutes. Immediately stir in the butter. Remove from heat and stir in the cream. Set aside and let cool to room temperature. Pour the caramel over the cooled cheesecake. Sprinkle with pecans and sea salt. Recipe slightly adapted from Chow. This looks amazing! I think I could eat this for lunch instead of my salad, the caramel sauce looks so decadent. This cheesecake was so good. It is not your normal cheesecake but the saltiness is not overwhelming–just right! Thanks for making this for us!!!!! Oh geez. I really need to make some of that. Yum–this looks incredible. Awesome photos! I’ll have to try this out! Wow. I have yet to try the salted caramel (both making it and eating it), but this may change that. Looks awesome! Salted caramel grew on me (not literally of course) in 2008 in the form of dark chocolate filled with burnt caramel and sea salt. It was heaven and you’re cheesecake looks even better. Bravo! You certainly do not look like an amateur baker to me, your dishes look absolutely amazing and decadent. I need to add this to my blogroll, it is a great site!! I’ve had salted caramel recipes bookmarked FOREVER but haven’t made them because I’m afraid of … the candy thermometer. I need a Quinn so I can have some of this cheesecake, too! Looks and sounds decadent. Thanks for the recipe. I’ve noticed that Nan and Jim and SURE lucky when you bake! This looks amazing. MMmmm…carmel. The cheesecake ingredients sound like it will be just the way I like cheesecake…very dense. I’m with you on the carmel-making…ask someone to help…actually this recipe looks a little more success-oriented than most others …thanks for sharing! How do you manage to keep these kinds of treats in the house! This would be our downfall. Way, way down. Looks gorge and delish! Gracious, that top picture is gorgeous! 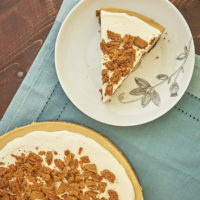 I always come to your site for any cheesecake recipe I am going to make, so I can’t wait to try this one out. Thanks for sharing! Your pictures are always so mouthwatering and this recipe looks just as good as your others! Oh. My. Gawd. This recipe is right up my alley. SOOO something that I would make with all of that lovely caramel. The salt addition sounds tantalizing. Hello heaven! This is my perfect dessert – yummmmm. This dessert has it all!! Looks divine! 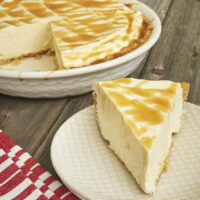 While I love caramel and salt together, but it has to be really simple like your cheesecake. I recently shared some smoked salt caramels with a friend from a smallish mass-produced retailer and I wasn’t impressed. I’m not sure if you’ve see it yet, but I found a salted dark chocolate candy bar at Cost Plus World Market recently that was really good. I want to play with that flavor combination soon. I know you’re probably over hearing folks gush over your photos but… sigh. Your photos are so exquisite! I wish I could take lessons from you. Bravo! this sounds fabulous, and looks even better! This looks amazing! We’ll have to try it! Now that’s a cheesecake. YUMMY! You’ll be the death of me. That looks fantastic!! OMG, I think I have gone to heaven. Those pictures are soooooooooooo tempting! really well done, you make it look so inviting. 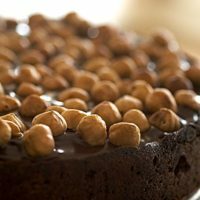 Like the salted caramel, i´ve tryed it with flur de sel which worked fanstasticly well, also good with chocolate truffles. I love using salty caramel in my recipes. I will never tire of it. Thank goodness it’s getting popular. Truly, I have never seen a more luscious dessert photo than the one leading this post. If that doesn’t sell you on trying this recipe, or at least the caramel portion of it, I don’t know what would! My mouth is watering. I’m a big fan of salted caramel too, although like you, I don’t necessarily love making it. your pecan pie looks amazing. i never tried salted caramel or even thought of the idea but nontheless sounds incredible. thanks for this new concept (for me anyways). Oh, your opening picture is tantalizing! I’d like to crawl into your cake and pull that blanket of caramel right up over me. I recently had my own delicious encounter with salted caramel in the form of salted caramel ice cream. Loved that combination of sweet and salty! I’ve yet to try salted caramel. One day soon I hope! I like your blog because you bake recipes that I would choose too — simple, good, and nothing over the top. This cheesecake looks like a winner! Another question. I was reading your post on Martha Stewart’s Crumb Cake and like, a, where is the recipe? Looked high and low on the page and no luck. I have to say with Martha’s recipes it’s a hit and miss for me too. Either they’re great or awful or someone didn’t reread the recipe and left something out or wrote 2 TBL when it should have been 2 tsp. Not a good thing, Martha. Part II. Oops. I found the recipe for Martha’s Classic Crumb Cake. Sorry. But I forgot to ask about the size of the cinnamon chips. Are they the size of mini-chocolate chips or the regular size Nestle’s Chocolate Chips? Again, thanks. Marie, welcome! The cinnamon chips I’ve used are mini-sized, like mini-chocolate chips. Hey girl, I made the cheesecake tonight–it is cooling as we speak. I think I may have over cooked the caramel, but as soon as it is cooled a little I’ll taste it–if it’s burnt, I have enough cream for another go at it. Nothing like cleaning burnt sugar out of your cookware! Hope mine turns out as well as yours! 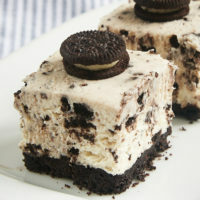 Wow you definitely are an authority when it comes to cheesecakes!This looked so lovely and mouthwatering! OMG, I Have an affair with Starbuck’s salted caramel hot chocolate too. It’s the BEST drink in the world!!!!! I absolutely love salt and sugar together, this looks wonderful and it’s begging me to make it! Just found your site today…doesn’t look like that is going to be a good thing for the non-dessert lovers in my house. Out with the savory and in with the sweet…and salty! Yum! Wow! That looks divine! I love the sweet / salty combo, not used enough! Thanks for the recipe! Wow! That looks divine! I love the sweet / salty combo, not used enough! This blog BLOWS my mind. Amazing photography of amazing food from amazing recipes. What more could a boy ask for? 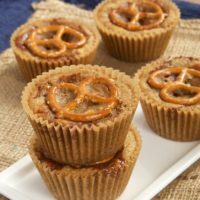 This sounds amazing…I loved salted caramel and made some recently so it is my current obsession! Woww, this looks amazingg. I love the contrast from the sweet caramel with the salt. Delicious! I love anything with salted caramel! I just made salted caramel custard pots and now I want this! Its looks delicious! Love this recipe! 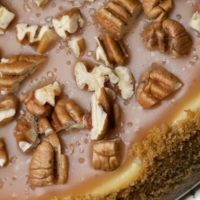 Cheesecake is my favorite and I always love the combination of caramel and pecans! For the caramel … Ingredients list cream, instructions indicate butter. Which are we to use? kidchan, the caramel ingredients and instructions list both butter and cream. Oh look at this beautiful creamy caramel! Wow, I need to make this cake this weekend for my man! He will love this! I made this for Christmas using my own cheesecake recipe with a brown sugar graham cracker crusts It was beautiful and delicious. The caramel sauce was easy to make and I have already received requests to make it again. Love this!! My daughter made this dessert last night and I have to say “this is to die for”. I did’nt want to finish the slice I was eating, I wanted it to be an unending slice. YUMMMMM! Looks so delicious! 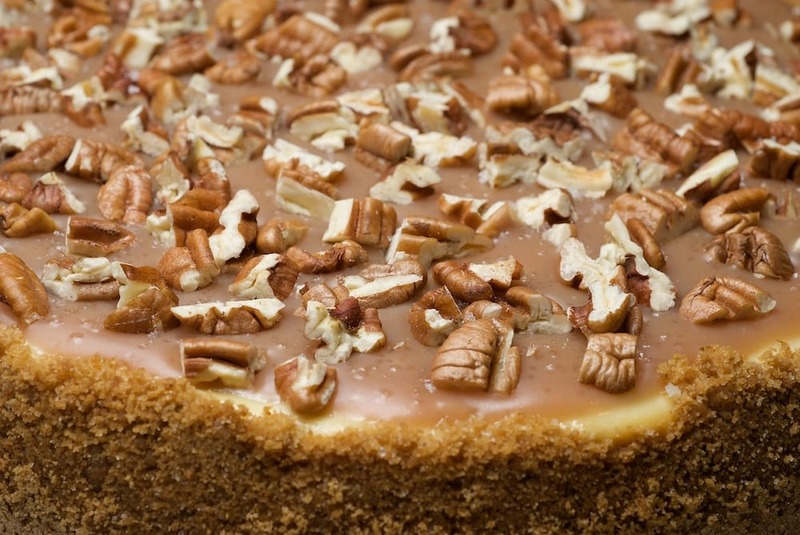 Pecan plus caramel in a cheesecake sounds like a wonderful combination. I was so excited to see this recipe. I am making it right now and although i was concerned about the short cooking time, i went ahead as instructed and assumed carry over time must aid in finishing cooking. After 40 minutes, my cheesecake is nowhere near set. Just a query about the amount of water used for the caramel – I found it impossible to dissolve the sugar. Is there a trick or did I misread the amounts? Otherwise the cheesecake was divine. Hi, Jen. I’ve made this a few times and the amount of water worked fine for me. You can add a little more, but your caramel may be a bit thinner. is the cooking time 40 or 45 minutes. I see two different cooking times. The cheesecake should bake in 40 minutes. The caramel sauce takes about 5 minutes to cook. Just wondering if this could be made ahead and frozen? Would you freeze without the caramel and add that prior to serving or freeze it all together? Hi, Serena. Cheesecakes generally freeze really well, so you shouldn’t have a problem. If you have the time to make the caramel fresh before serving it, I think that would be better. But it will likely freeze fine with the caramel. I would suggest that you wait to garnish until you’re ready to serve.